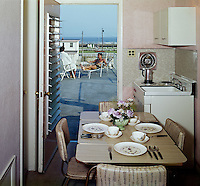 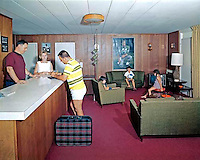 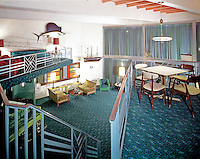 1950's & 1960's Retro Vintage stock photographs of Motels & Hotels. 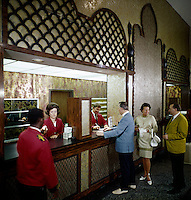 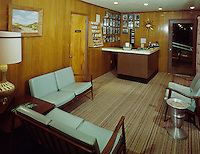 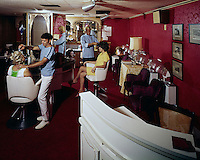 Photographs of Lobbies, Game Rooms & Beauty Salons. 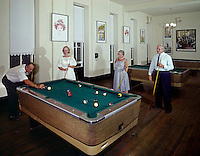 Family activities in games rooms like horse racing and twister. 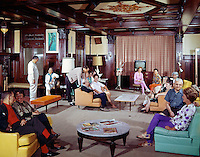 Couples checking into the motels & relaxing in the lounge. 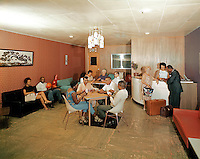 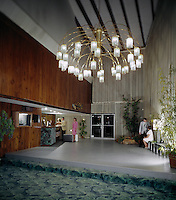 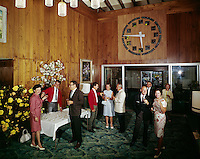 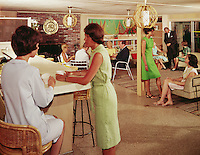 People enjoying a formal party in the motel lobby. 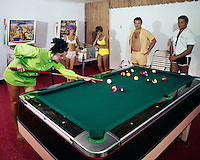 Old Games, Pinball, Skeeball, Shooting Games. 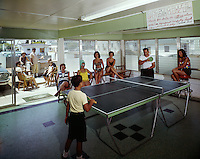 People playing ping pong in the motel game room. 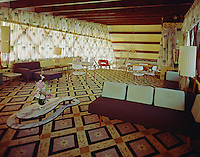 Utopia Lodge. 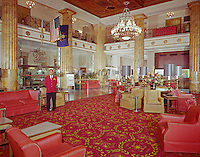 Card playing in the lobby.